I arrived at the car park to the north of Cheddar Reservoir (ST 439 543). It was already bustling with parked cars and, almost getting my two front tyres stuck in the mud, I found a space to leave my vehicle at the far end of the queue. From here, my walk begins heading north. When I say ‘north’, I also mean very steep and immediately uphill! 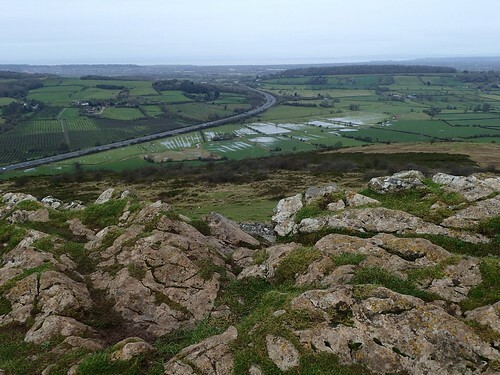 I climbed the tiring valley between Fry’s Hill and Cheddar Wood, to emerge on a surfaced road, overlooking Callow Quarry. 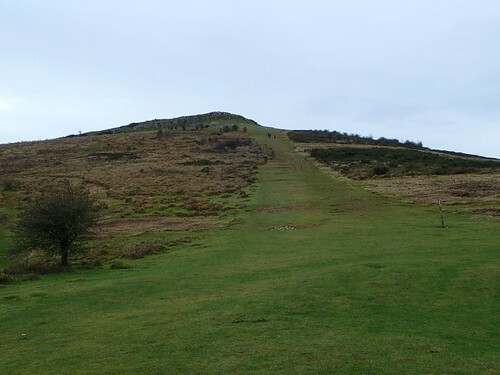 I would gain a few extra metres in height before turning left (west) on to Callow Drove; one of my personal highlights of the Mendip Hills and a walkway I consider to be relatively unknown. 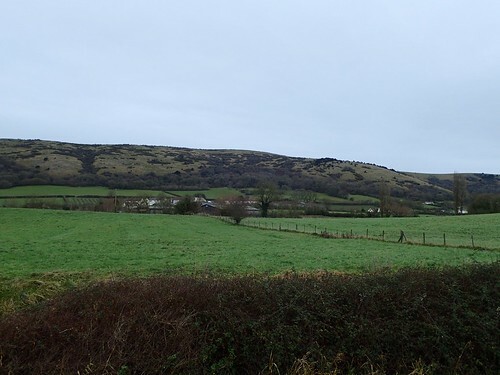 Parallel to this (and to the north) is Winscombe Drove; a well-walked route that can be wet and muddy on a hot summer’s day, that also bears the West Mendip Way. 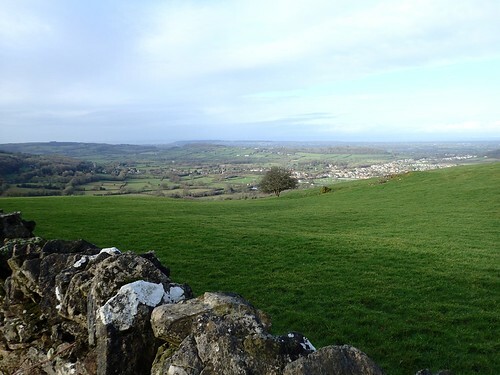 Crossing Shute Shelve Hill, there’s a fantastic view overlooking Winscombe and Banwell, with plenty of green in between (this may not be the best time to mention that Banwell is under threat of mass-expansion, due to the West of England’s hugely-controversial Joint Spatial Plan…). 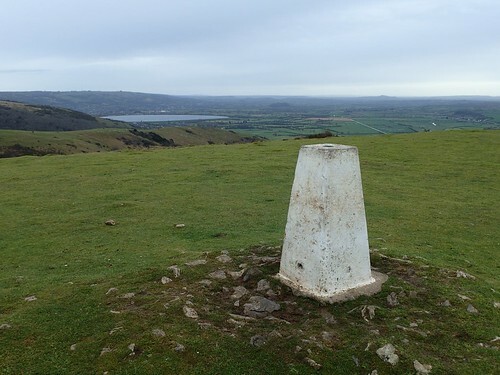 Straight ahead is the hump of Wavering Down; the highest point in the remainder of this walk, with a trig point at its summit. 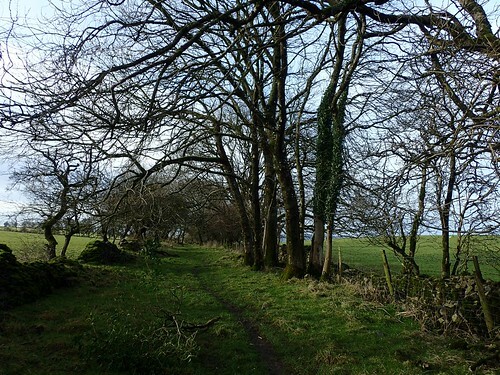 I followed the West Mendip Way down and over the A38, up through King’s Wood and out on to Cross Plain. Wavering Down looms up ahead. 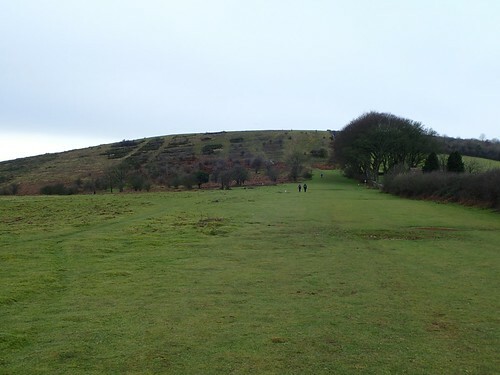 I can remember the early days, when I would break in to a heavy sweat on conquering this climb. A trig point photo is obligatory, in my experience. There is no substandard view in whichever direction you turn. Above, I’m looking back towards the reservoir from which I started. 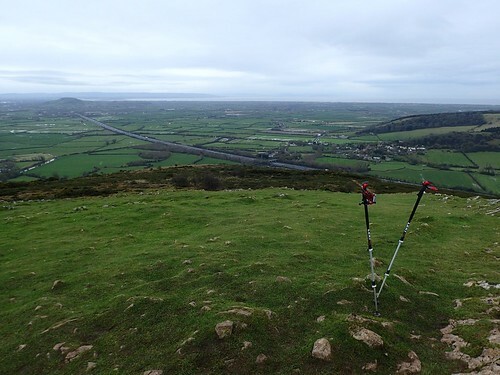 Still following the Mendip Way, I head downhill and further still… Before the inevitable climb up to Crook Peak, from a point at which I leave the Way I know too well. As always, it was windy on this rocky summit; the western-most point of my walk. 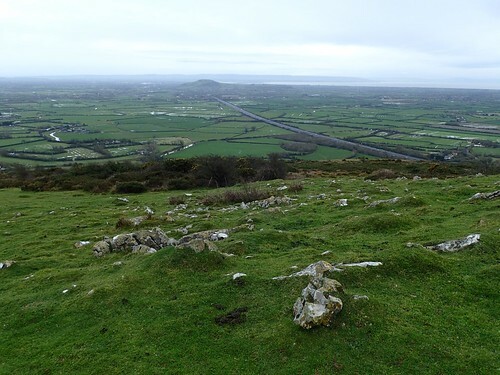 Above, you can see Brent Knoll, with the southbound M5 motorway running beside it. There’d been a fair amount of rain leading up to Christmas and I remember drops coming in through my ceiling (I live on the ground floor…) on Christmas night. Few other people could be seen by this point. Perhaps they were too cold. Perhaps, within the average lunch hour, they’d already completed their time outdoors and had retreated to the warmth of crap TV and leftovers from the previous day. I was contemplating a lunch stop of my own and continued south-eastward down the ridge from Crook Peak; pausing on a patch of land close to the road but away from the popular parking area. 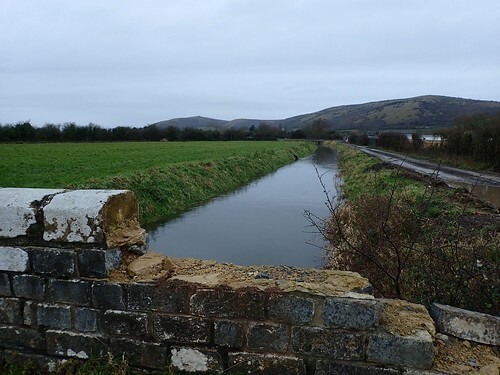 After lunch, I crossed the road and dropped down towards Poplar Farm before turning left to cross the Old River Axe. This fingerpost and waymark sign was almost easy to miss. 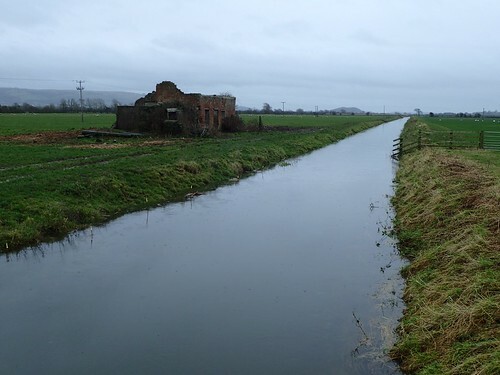 I would now follow the river, walking eastward along its southern bank. ‘Muddy’ doesn’t come close to describing the state of this riverside path… A pair of walking poles were as essential as the gaiters wrapped around my calves. Away to my left, I could see the ridge line that I had followed. 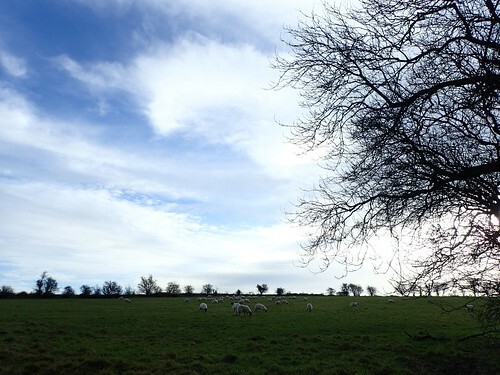 I switched to walk along the northern bank near the village of Cross, before reaching the A38. 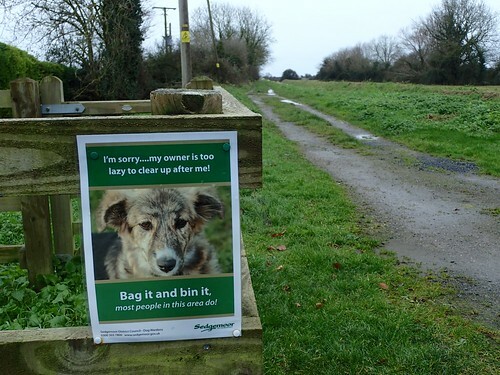 While I’m pleased to see Sedgemoor Council making an effort to raise awareness of owners not picking up after their pets… I worry that the image depicts the dog as the criminal. Why not attach an image of discarded poo? Name and shame the locals? There isn’t much to say about the A38 crossing at this point, aside from the fact that great patience is essential. Again, I could look back to the first half of my walk, with Crook Peak now visible as the most distant summit. 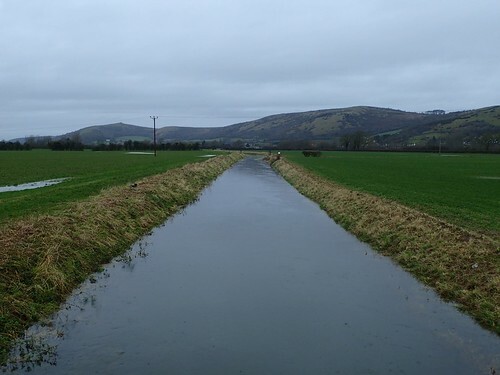 This is known as the Cheddar Yeo – not to be confused with the Congresbury Yeo; also known as the River Yeo… Even though the actual River Yeo runs much further south across Exmoor! 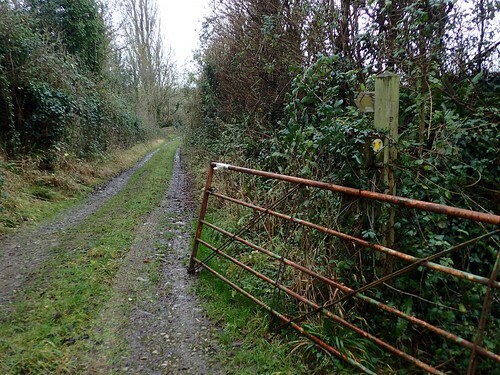 I had the option to turn in early from the moors and follow Prowse’s Lane beside Townsend Farm. 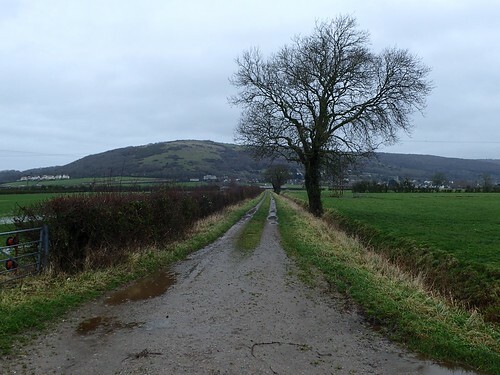 Instead, I soldiered on, through mud that was worse than what I’d seen across the A-road! Within minutes and much sliding about, I’d return to Axbridge via a path beside Ellenge Stream. 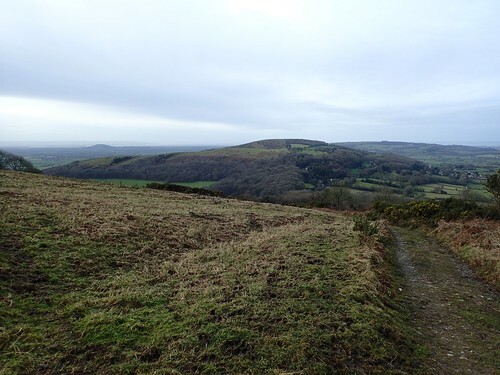 A little wiser, legs caked in mud and with almost ten-miles in the bag.